Fiskhålsgraven is located 2 km west from Evagraven. 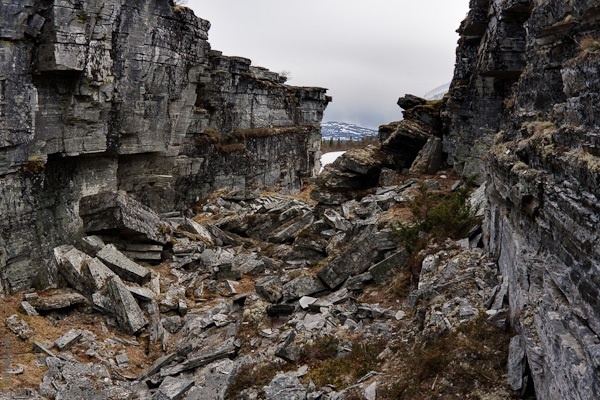 The name translates to “fish hole ravine” and it comes from the small tarn at the end of the ravine, which is home to a population of the rare and protected dwarfed char. There is only one other place where this fish is found, in a small tarn located in a ravine at the Blåstöten mountain. 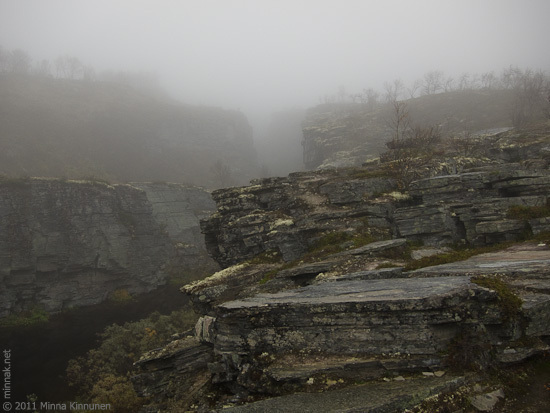 While Fiskhålsgraven is smaller than its more famous cousin Evagraven just 2 km east, it is still an imposing ravine with high vertical cliff walls and plenty of rock formations that will trigger your imagination to almost see the forces of nature in action. If you’re interested in reading more about Fiskhålsgraven, check out my blog posts about the ravine. Directions: Drive to the Ruvallen summer farm (toll road). 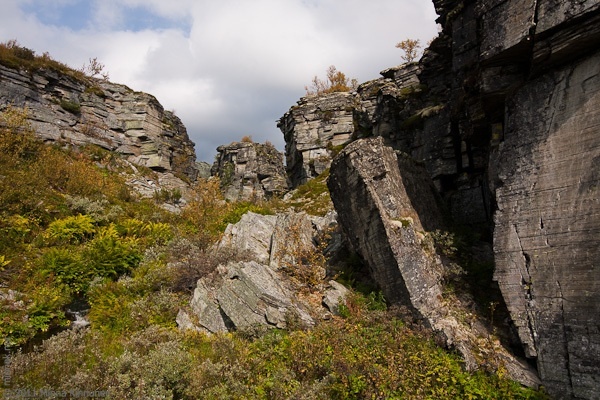 The trails are well marked, you can choose between Evagraven, Fiskhålsgraven and the rock paintings, or do all three of them as one hike.